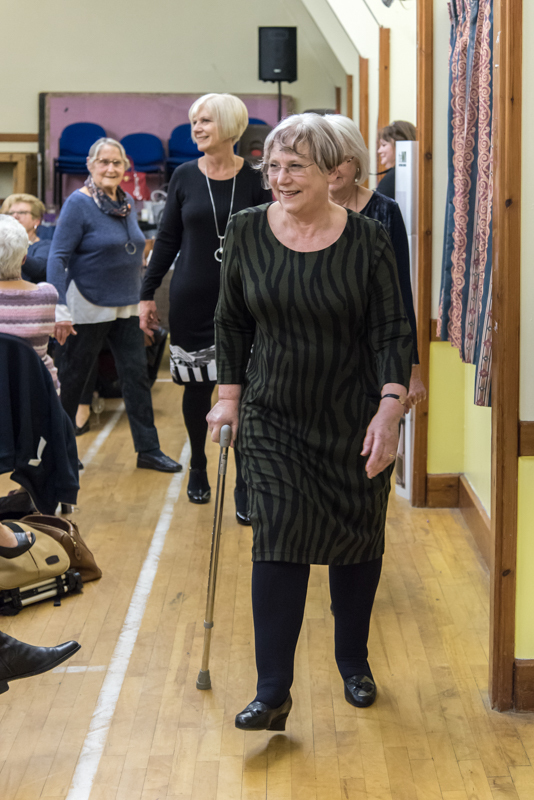 Back in October the Chevington WI ladies took to the catwalk in a fundraising fashion show and a friend and I had a great time photographing the evening for them. 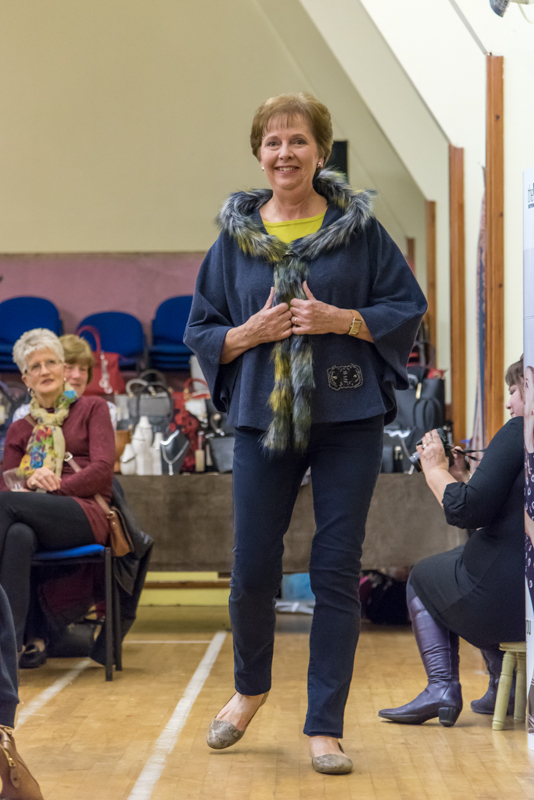 Ten ladies modelled clothes and accessories from local retailer ICE of Ixworth’s Autumn Collection – about 70 outfits in all. 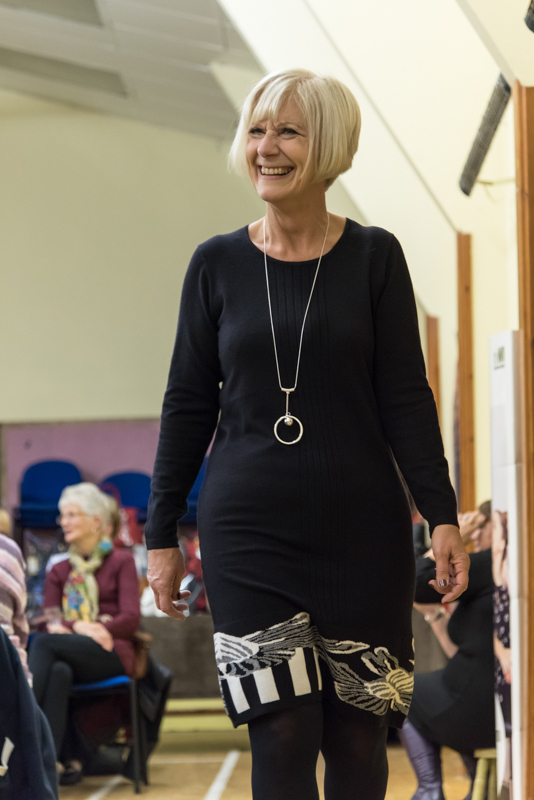 Catwalk nerves soon disappeared as the models began to enjoy ‘strutting their stuff’ and the audience got involved asking for twirls and wanting to feel the fabrics, all of which added to the fun atmosphere. In the week leading up to the show the ladies had visited ICE and been fitted out with clothes that were picked out by Sally and her team to both suit and flatter them and I’m told the ladies had great fun trying on lots of different outfits. It was lovely to hear the models saying afterwards that, despite being out of their comfort zone, they had really enjoyed wearing clothes that they would not have chosen for themselves. A glass of wine and some refreshments together with a raffle finished off the evening nicely with the event raising quite a large sum of money for WI funds. The ladies, not being professional models, quite understandably wanted to ‘vet’ their photos before they were released to the mercy of the general public and I’ve now got the go-ahead to share them with you. 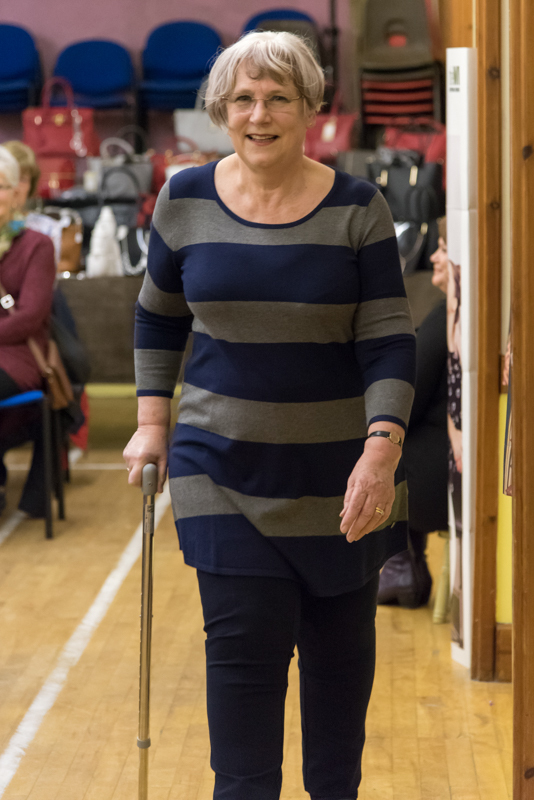 The WI were delighted with the way we covered the event saying ‘the pictures were fantastic and a lasting memory of something we will probably never have the opportunity to do again’ and we thoroughly enjoyed ourselves too. ICE of Ixworth have some lovely clothes which are affordable too so if you’re in the area and fancy some retail therapy, do pop in and see Sally and her team. If you are a WI or another organisation putting on an event or performance and would like some photos to record the occasion please get in touch for a no-obligation chat. I’d love to be able to help you.